When scientists in Brazil came face to face with a Cropan's boa recently, it wasn't just any old snake sighting. That's because this species hasn't been caught alive since 1953. The snake was found in late January by residents of Ribeira in the state of São Paulo. An encounter with the locals isn't always a good thing for a snake in this region – many are mistakenly perceived as dangerous and killed. But the group that found this particular boa knew that nearby herpetologists would want to hear about the discovery. There are many species of boas in South America, but this one is especially rare. It's considered endangered by the IUCN, and included on the Red List of the state of São Paulo. The species was first identified only 64 years ago, by herpetologist Alphonse Richard Hoge, the last scientist to examine a live specimen. Since then, the only Cropan's boas (Corallus cropanii) available for study have been dead ones: like in so many other places, locals' approach to snake encounters in this part of the world is often to kill first and identify later. Fewer than half a dozen specimens of the species were known to science, and several were damaged or destroyed in a fire at São Paulo's Butantan Institute in 2010. It's no stretch to say that we really don't know much about these animals. All Cropan's boas so far have come from Brazil's Atlantic Forest region, a biome that has been severely damaged and fragmented by human activity. No expedition to this area since the 1950s has turned up a living specimen. That's why biologists from the Butantan Institute and the University of São Paulo Museum of Zoology turned to a strategy that is becoming ever more common and successful: citizen science. The herpetologists began talking to local residents in Ribeira, teaching them to interact safely with snakes and to identify them accurately – which also means distinguishing potentially dangerous species from harmless ones like the Cropan's boa. 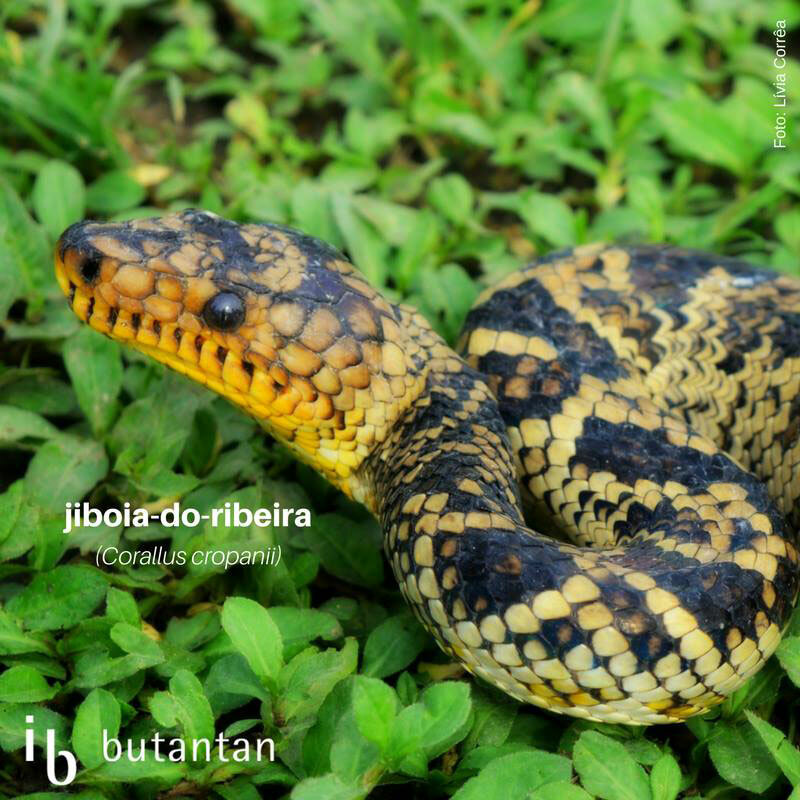 To change perceptions, it was also crucial for the snake to be seen as belonging to the region: that's why researchers referred to it as "Ribeira's boa". The team also gave out contact information, in case anyone came across one of the snakes alive. And just a few months later, someone did. The newly discovered snake, light-coloured with dark splotches down the back, is a female measuring in at about 1.7 metres (5.5 feet) in length. The sighting has sparked a lot of excitement from scientists all over the world. The animal has since been fitted with a radio tracker and released back into her home environment. Livia Corrêa, biologist at the Butantan Institute, explained that the find will give scientists a first-ever opportunity to study the species in the wild. This will provide brand new intel about the snakes' lifestyle and habits, crucial information for protecting this rarely seen and endangered species. The Azuay stubfoot toad, a species thought to be extinct for more than a decade, has been rediscovered in the highlands of Ecuador! Researchers have been trying to find the sinkhole squeakers for more than 50 years. And they've finally succeeded. It's snake vs vampire in this cave in Ecuador, where scientists documented and recorded a rarely seen hunt.